I’ve finally found the ultimate chocolate cake recipe! 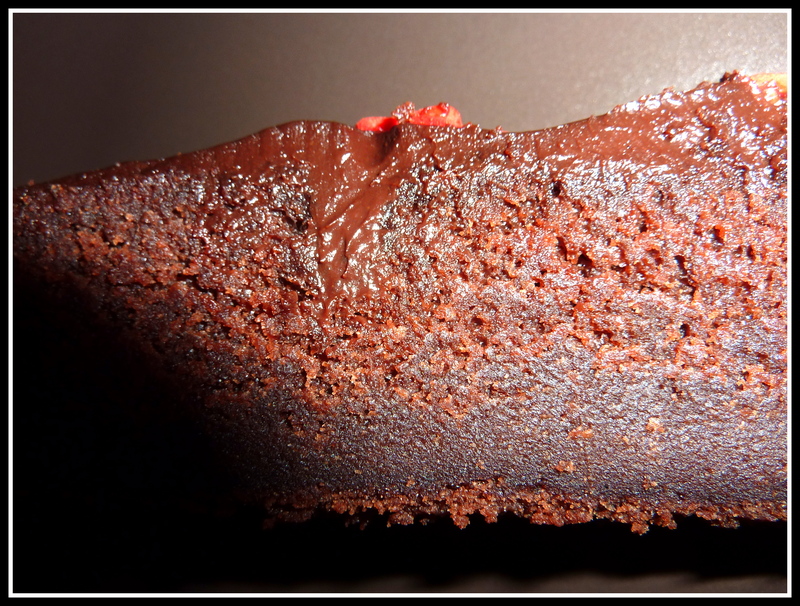 Easy to make, rich and moist, with an intense chocolate flavor. I spotted this gem on Paules Ki(t)chen and was of course intrigued by the mention of Cola in the recipe name. Mixing the sparkling Cola with cream and butter really did sound adventurous, but in the end product, you don’t taste the beverage at all. However I suspect it to be responsible for the deliciously moist texture. I’m pretty sure this will be my go to recipe now whenever I need a quick and delicious cake. 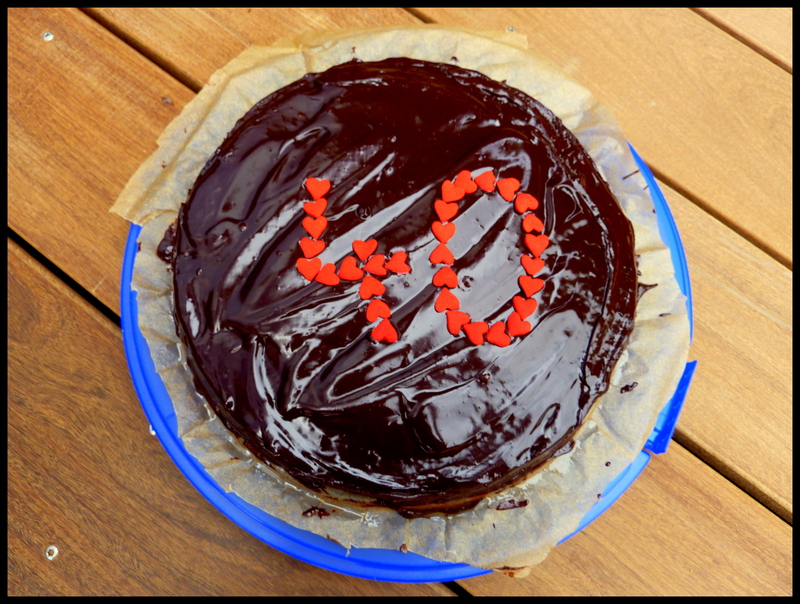 If you’re wondering what the “40” on the cake is all about, it was my husband’s 40th birthday. And since he had to spend the evening sick at home with a bad cold, the least I could do was make him a decent cake and a nice dinner to go with it. And since I was feeling a bit under the weather as well, I really appreciated how easily this cake worked out. Prepare a sandwich tin by fixing a sheet of baking paper between the bottom and the ring. Coat the sides with butter or baking spray. Heat the butter and Cola in a small pot on medium heat, stirring frequently, until the butter is melted. The mixture shouldn’t be brought to a boil! Set aside to cool, then stir in the milk and cream. In a large bowl, mix the flour, baking powder, baking soda, cocoa powder, salt, vanilla and cane sugar. Mix thoroughly. Make a well in the middle and add the two eggs and whisk them lightly. Slowly pour the butter/cola/cream mixture into the bowl and mix with a dough scraper until you get a smooth dough. Don’t be surprised if it turns out rather liquid. This makes sure you get a moist, dense cake. Pour into the sandwich tin and bake in the oven for approximately 45 minutes. Check if the cake is ready by inserting the tip of a knife into the middle. If it comes out clean, the cake is done. Don’t leave the cake in the oven for too long or it will get dry. Set aside to cool. For the chocolate coating, cut the chocolate into small chunks and put it in a bowl. In a small pot, bring the milk and cream to a boil, then pour it over the chocolate chunks. Leave to soak for a minute, then combine with a spoon or dough scraper until you get a smooth mixture. Add the syrup and butter, stirring until you a get a smooth and shiny coating. 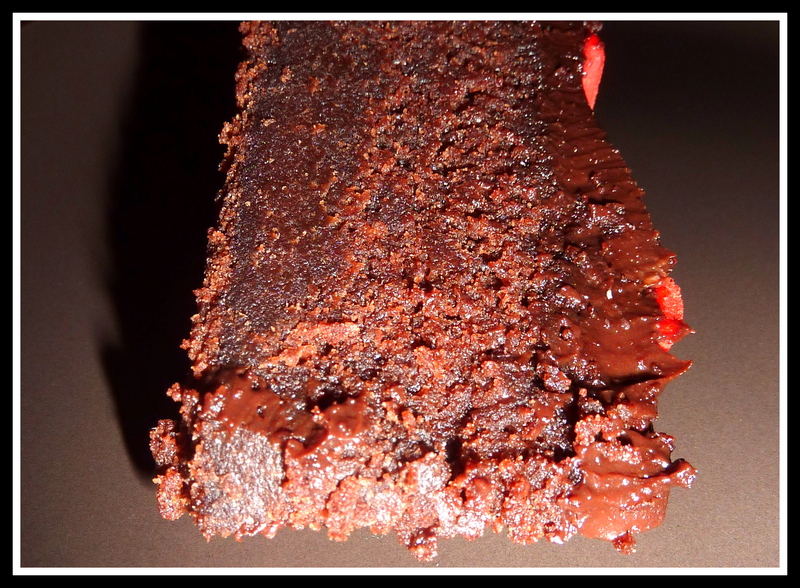 As soon as your cake has cooled down, coat it with the chocolate, using a dough scraper (I used a very small one as it is easier to coat the sides of the cake). Decorate your cake with whatever you like. I used little red sugar hearts, but you could use white chocolate chocolate rasps, cocoa or coffee beans and so much more. You can store the cake up to 3 days in a fridge and it definitely tastes even better on the second day!